There are multiple ways to mount bodies to our rotisseries. In order to give you clear access to the rear corners of the cab, we've made this Truck Kit. 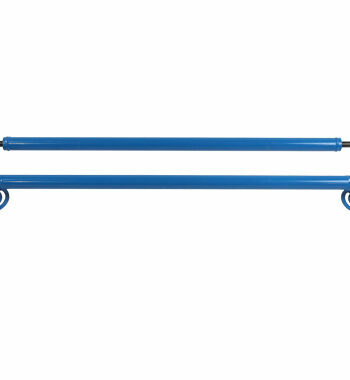 The rails run between the mounting arms on the rotisserie and bolt securely to each end. Each mounting arm of the Truck Kit can then slide along the rail to match up to the cab mounts. The mounting arms can be positioned horizontally or vertically.There are holes in the end of each arm to bolt into the cab mount. This will fit our AutoTwirler Pro and Elite to give you a full 360 degree rotation. This will fit our AutoTwirler Pro and Elite. 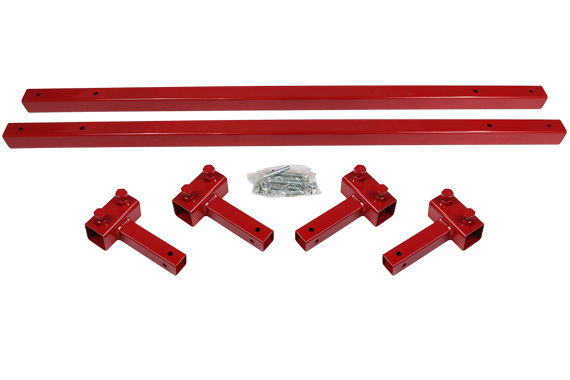 Each mounting arm of the Truck Kit can then slide along the rail to match up to the cab mounts.The mounting arms can be positioned horizontally or vertically. There are holes in the end of each arm to bolt into the cab mount. Two (2) rails, 6 feet long. Four (4) 8" mounting arms.